"For every sacrifice, there is a reward". 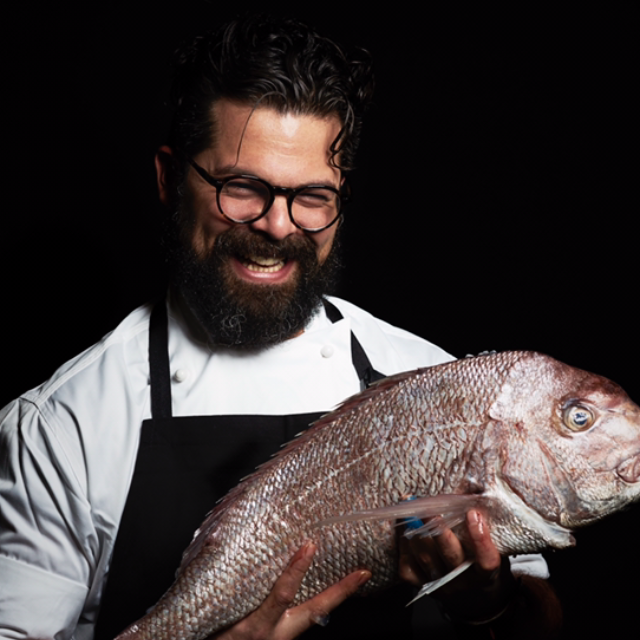 Alejandro Saravia is the head chef and co–owner of Pastuso, a Peruvian Restaurant and Cevicheria Bar in Melbourne. 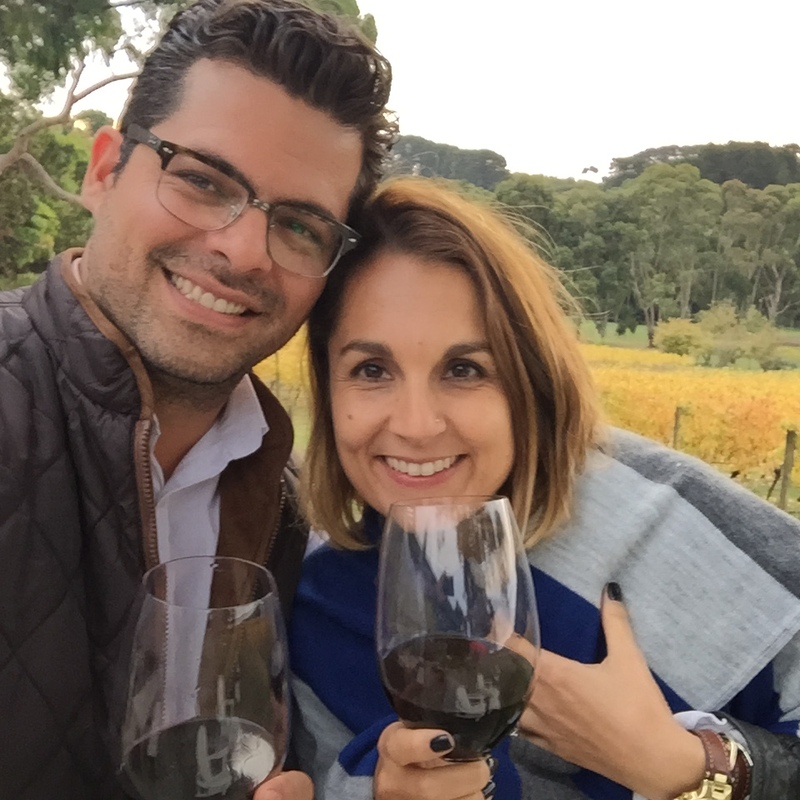 In his ten years in Australia he has established himself as one of the leaders in the "Latino gastronomic revolution" that Australia is experiencing. Alejandro has played a significant role in promoting Peruvian cuisine in Australia through his passion, dedication and skills. His first project, “A Taste of Peru”, educated on the ingredients, flavours and cooking methods of Peru and Latin America. In 2011 he opened the first fine dining Peruvian restaurant in Australia. Later, he moved to Melbourne to open Pastuso, which has garnered several awards such as the Restaurant Catering Awards. In 2006 I was exhausted of working at a Michelin star restaurant in London. I needed a break so I decided to take a year off to relax and travel. A friend from Sydney mentioned that, in Australia, the hospitality industry was booming and wages were not bad. Since I have double nationality (Peruvian and Italian) I came to Australia with the working holiday visa. My plan was to work at a cafe in Manly, surf, and travel around Australia and South East Asia before returning home. After a week working casually at a cafe I was kicked out. I did not fit in as I am passionate about gastronomy and they just wanted to have an average cafe (not even with a seasonal menu). I realised I missed fine dining and I got back into it. My specialty has always been seafood so I was lucky to be the chef de partie at the fish section at Bennelong Restaurant (the back then Sydney Opera House’s restaurant) then I worked at Salon Blanc, Pier Restaurant and Sails on Lavender Bay. I learned so much working at these places with incredible people. Around 2007 Frank Camorra opened MOVIDA. He inspired me to try to do a similar concept but with Peruvian cuisine. Then, when Bodega in Surry Hills opened, I knew I had to start writing my business plan for my ‘Taste of Peru’ project. I contacted the embassy in Peru and anyone with an interest in promoting Peru’s culture abroad. Since my background is in marketing and finance I was able to develop and sell my business plan. In the lead up to opening we had a year of collaborations with other restaurants, food festivals and cooking classes where we gathered a data base of over 10,000 people. Once the demand for us was ready my business partner back then and I opened “Morena”. It was a 2 year introductory project where we trialled fine dining first and then casual service. During that short period of time, we got a 14.5 score in the Good Food Guide (Sydney). However, when the lease was up I decided to look for a bigger place. It was a struck of luck that around time I met Michael and David Parker from San Telmo. We clicked right away and we partnered for a Latin-American night at San Telmo which was a great success. They liked how I worked and offered to support me if I considered opening a venue in Melbourne. So we joined forces and in 2014 we opened Pastuso. Things are going well. We have received a few awards from the industry and Melbournians have truly embraced us! Australia has been really good to me in many ways and I have never felt out of place. Also, I met my wife Coral here, when I was the head chef at a tapas bar in Surry Hills, Sydney I would say it was an awkward first encounter as she was hired while I was restructuring the restaurant. I recall the first line I told her was ‘If you have spare time, start polishing some cutlery”. I eventually asked her out and after dating for a short time we went to Byron Bay for my birthday and I asked her to marry me. She is my rock. Coral’s background is in engineering but she made a career change in Australia and now works in marketing. She also has an entrepreneurial spirit and she is due to launch her fashion label “Different Origins”. Coral, Croqueta (our Australian bulldog) and I have a good life here. Financial stress – Opening a fine dining restaurant is not easy or cheap. So, I looked for a business partner that believed in the project and had experience in owning a restaurant. It was a great risk as I put all my savings and even loan into it, but I was not afraid, I was confident in the project. Travelling home – South America is not around the corner. Having lived away from Peru for a while, got me used to not seeing the family that often. However, during the first years of living in Australia I was not able to attend celebrations that I would have loved to be there but I knew that was the price I had to pay to achieve my goals. It’s only been in the last 4 years that I have the means and time to travel. Long for the past – When I left Peru 13 years ago I took with me great memories. So every time I traveled back home I tried to recreate them; I long for those days. However, nothing is the same, Peru has changed and so have I. Expectations – General expectations of one’s life in Latin America are: Get into university, get a job, get married and have kids. To have a year off to travel and see other cultures is almost unheard off. Taking the time to experience the world is not seen as something important. Society has expectations and you must fulfill them. In contrast people in Australia travel and make their own decision. Obviously, the country’s economic stability empowers them to do so. Non-judgmental – I really like that in Australia people respect each other. Your look does not affect your professional career. I had always wanted to get tattoos but I was worried of what people would think of me. When I moved here I got my first tattoo and you should look at my arms now! Unfortunately this is not the case in Latin America as people are still judged on their looks. Entrepreneurship and collaboration– Australia is a first world country with opportunities of a developing country. There are many opportunities available for entrepreneurs and there is market for them to succeed. Latin Americans have a lot of talent, but many times we have to leave the country due to political instability, or other reasons. Also, I have noticed that in Latin America, business owners don’t tend to collaborate. Perhaps it’s due to insecurity as they don’t want someone else to get ahead. In contrast, people here are open and help you with their own connections, they are genuinely happy if you do well. Take a year off – Travel, live experiences, meet new people and see the world. Adjust – Come with an open mind as you might need to do things you never thought you would have to. But don’t worry, for every sacrifice, there is a reward. And doing it tough helps you to value things. Some people come here with their "I am someone special" Latin American mentality and that is useless. Here you are a new person in a new city and you will have to adjust to it as the city will not adjust to you. Experienced networks – The biggest mistake new entrepreneurs make is to think that because they are passionate about something they can start a business without previous experience. No one is an expert in every field, so surround yourself with those who know and have the experience in areas you don’t. This will be advantageous for you and will allow you to progress further.